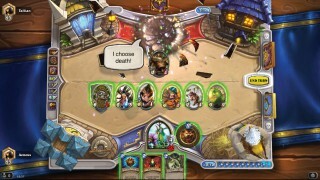 Hearthstone is an online collectible card game that quickly grew in players hearts and eSports in general. And whilst not as obvious a choice for eSports gambling sites, it’s major fan following and easy to understand rules, makes it a smart betting choice. Essentially, Hearthstone is a two player head-to-head turn-based match. Players take turns to play cards to summon minions, equip weapons, and cast spells. Easy to learn but difficult to master, this is a great entry game for those interested in e-sports. With its popularity growing so quickly it also has fast growing online betting opportunities. 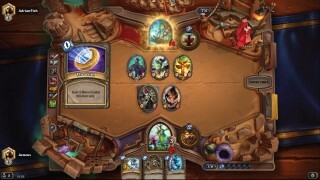 Hearthstone was originally released in 2014 on PC, but was quickly expanded into tablet and smartphone formats, to allow for a greater audience. The game specifically features characters & monsters from the World of Warcraft universe which quickly added a lot of early appeal from fans of the original massively multiplayer game. However it has gained huge popularity outside of the original game’s fans, and it now has 20 million players, twice the number of player of World of Warcraft and on par with the biggest eSport games out there. It’s also developed by the same people who brought you StarCraft, meaning it has a team of experience professionals within the e-sport industry to nurture and establish Hearthstone as a serious e-sports contender. There are a number of well supported tournaments to bet on, including the official Hearthstone World Championship. In 2015 this tournament had a $250,000 prize pot and as many as 135,000 concurrent viewers. This game, while young, is taking on the far more established e-sports with great success. 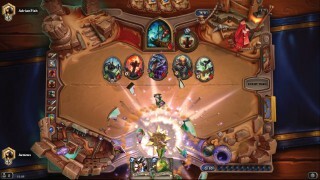 In Hearthstone a match is a 1v1 card battle between two opponents. Each player takes turns to play cards from their hand to summon minions, equip weapons, and cast spells. In the game each player chooses a hero to represent themselves. The hero chosen defines the special cards that a player can select, in addition to the general cards, as well as the unique hero power that they can use whilst battling. Each hero has 30 health points to begin with. The objective of the game is to reduce the opposition player’s hero’s health points to zero. Once this is achieved the game is won. At the start of each turn a player draws a card from their deck into their playable hand. The deck is made up of 30 cards selected by the player before the battle. During their turn a player is allowed to perform as many actions as they wish as long as they have enough Mana Crystals. Most actions will reduce the number of Mana Crystals you have to a varying degree. In your first turn you will have just 1 crystal and so actions are limited. However each turn the mana crystals increases by 1 until you reach a maximum of 10 crystals. Any unspent crystals at the end of a turn are not carried over, however your crystals are completely replenished to the maximum allowed on your next turn. Hearthstone is a great game for e-sport betting. Easy to understand, but with a depth of skill which allow the informed better to achieve good gains. Games can also be completed over much shorter periods of time and so this can give you some quick returns. However there are a number of factors that you’ll need to know in order to gain some success. We’ll look at these below. The biggest factor to understand is how the tournaments and tournament matches are structured in Hearthstone. Because of the fast-paced nature of an individual Hearthstone game, as well as the higher than normal (for e-sports) impact of luck, games are not played in a best of 1 format, and often at least best of 3, if not more. Normally a tournament will initially have a group stage of shorter, quicker matches, followed by a knockout playoff. That said, some tournaments do go straight into the playoff, because it adds to the excitement, unpredictability & pace. The group stage of a Hearthstone tournament is made up in a round robin format where each player plays each other, in their group, once. The individual matches in the group stage are played in a best of 3 or best of 5 games format. Best of 3 in Hearthstone still carries a bit of risk with random chance, as while there is a lot of skill involved, it is still affected by luck and chance much more than other games. For example, you can never be guaranteed when a card will be picked up from your deck into your playable hand. Best of 5 is more likely a pure test of skill and a much safer bet in general. This also brings us to handicap v moneyline betting. Handicap bets on Hearthstone are generally a poor bet to take due to the effect of random chance. You very rarely see a 2-0 or 3-0 victory. The playoff stage of a Hearthstone tournament involves two players facing each other with the winner progressing, and the loser being knocked out of the tournament. These matches are played in a best of 5 format, though sometimes best of 7 is played in tournament grand finals. Similar to the group stage, best of 5 matches provide a good betting opportunity with the results being reasonably free from random chance and luck. But again, be wary of handicap bets which are very difficult to call when betting on Hearthstone eSport tournaments. Getting the most out of betting on Hearthstone requires the canny punter to do a bit of research into the matchups and general gameplay of Hearthstone. Luckily this is incredibly simple with Hearthstone. Through the excellent streaming coverage, and fantastic websites covering all kinds of statistics, you can gather all the information you need to succeed. We’ve identified some great resources for you below to ensure you make the most on your Hearthstone e-sports bets. The biggest step is getting the facts about the upcoming tournament matchups. We’re talking head to head history between players, current form and statistics on how players match up against different heroes. There are some brilliant websites to find out information like this. For example http://www.hearthpwn.com is a great source of general information on Hearthstone and has a strong forum community to gather some in depth analysis. Once again there are some brilliant resources for stats on Hearthstone matchups including things like form and class win rates as well as high quality dedicated stats on Hearthstone matches. Using these, as well as all the information we provide you here at eSportsBettingElite.com, will increase your chances of picking the winners in any Hearthstone Tournament. There are a number of major Hearthstone tournaments that take place throughout the year. The biggest of these is the Hearthstone World Championship, but there are many other very popular tournaments. There are a number of e-sport betting opportunities available in many of these tournaments. We’ve listed a number of the current, upcoming and recently finished tournaments below. 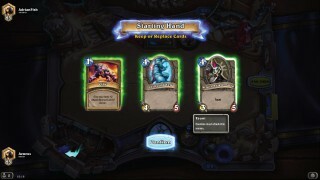 One of the really great things about Hearthstone is the fantastic coverage of the game on video and streaming channels like YouTube Gaming & Twitch. These offer fantastic opportunities to learn how the game works and getting a better understanding for the ebb and flow of a matchup. Head over to the best Hearthstone betting site and enjoy all they have to offer.